instead winds up using it to travel across 130 years of Hill Valley history (from 1885 to 2015) undoing the negative effects of time travel. activate the flux capacitor and break the time barrier. Acceleration: accelerated the car to 88 mi/h (142 km/h) which activated the flux capacitor. 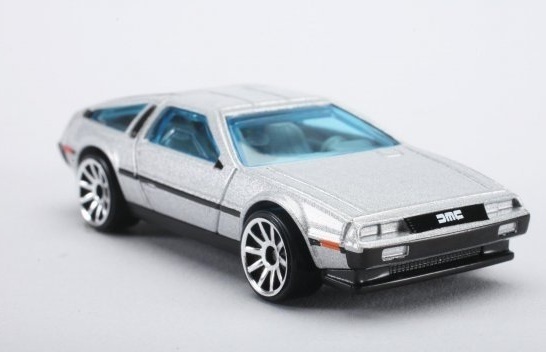 Color:   Metalflake Silver   / Front: DMC on Grill; Sides: Lights & Cables; Rear: Tail Lights, Rear License Plate reads "OUTATIME"